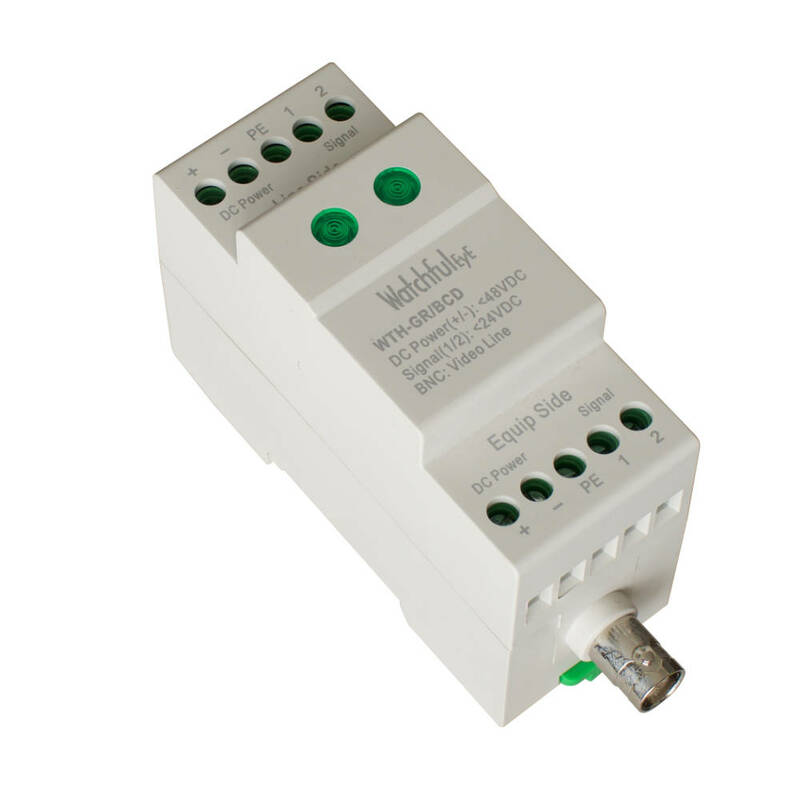 WTH-GR series triad Integrated surge protective devices are applied to surge protection of power, control signal, BNC video signal or RJ45 Ethernet. With characteristics of low voltage, quick response, etc, they can release and prevent the damage to the protected device arising from inductive surge from power and control wire or the other surge overvoltage. 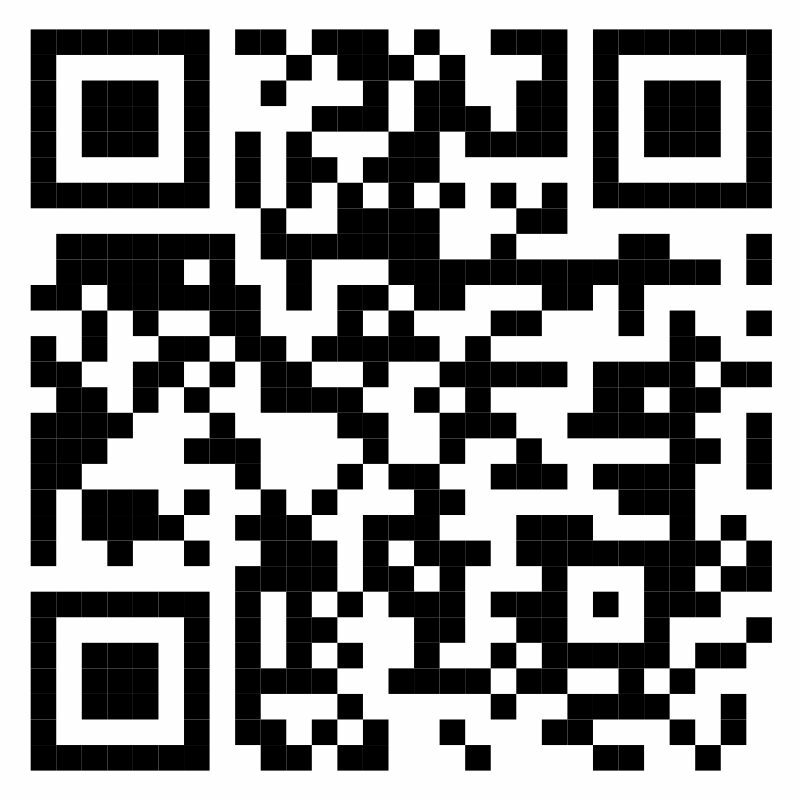 They are widely used in the field of security monitoring system, CCTV system, POE system, dataroom and so on. 1. 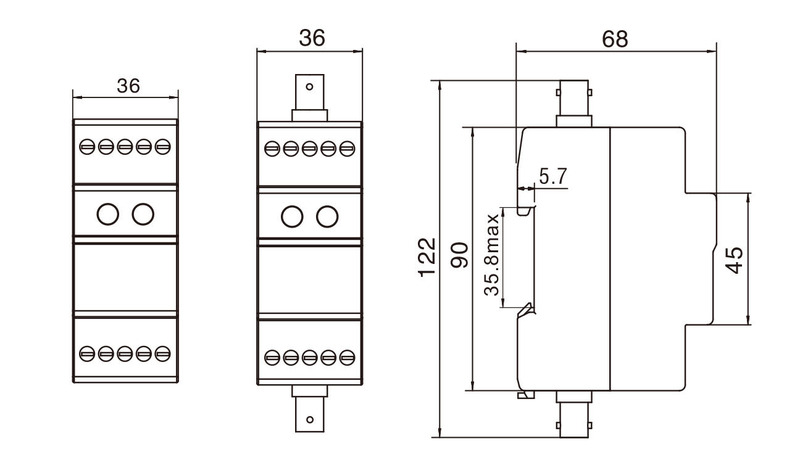 Modularization, DIN rail design, convenient for installation and replacement. 2. Built-in temperature control and circuit breaking technology and multi-protection technology, strong protection ability, high reliability. 3. Green light on in notice window indicates power normal, off indicates broken, clear and easy distinguished. 4. Function of multi-protection: power, video signal, control signal and RJ45. 5. 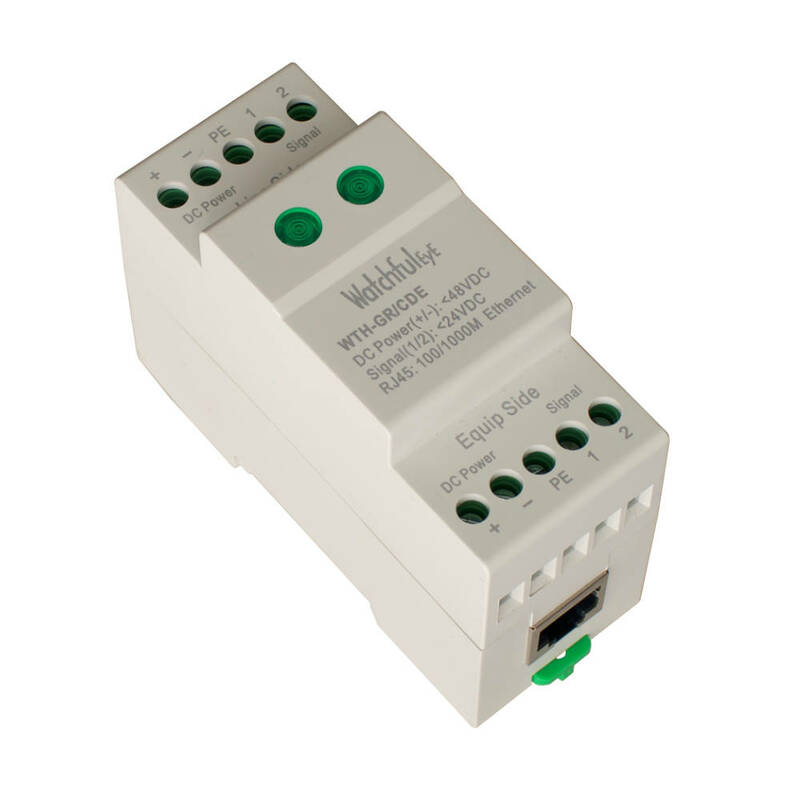 Built-in 4mm² elevating grounding terminal, more reliable grounding.